The epitome of urban chic, the Story & Clark Manhattan Player Grand was designed with contemporary tastes in mind while paying homage to a style and era that is now classic. We can imagine Cole Porter penning “Night and Day” for Fred Astaire at this piano. Yet, its distinctly minimalistic style would be equally at home with the furnishings of Eames and Le Corbusier. 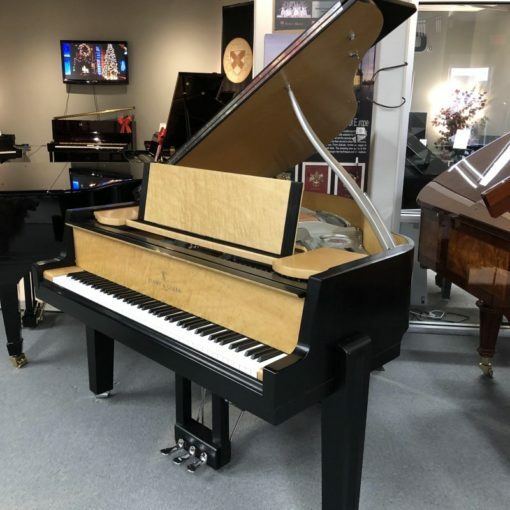 “Right-sized” for urban dwelling, the Manhattan grand piano imparts a tone that is warm yet clear, easily comparable to larger grand piano models. Category: Story & Clark. Tag: Story & Clark.